I am So happy you stopped by. Today I am sharing the second project from my new book, "Super Cute Paper Piecing", which will be released this November! 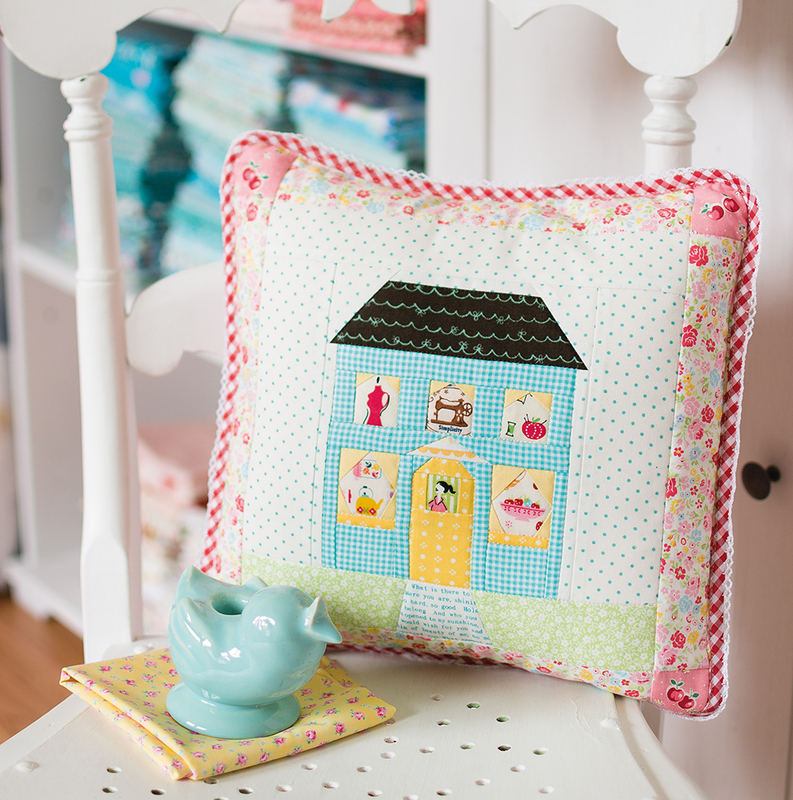 This is the Sewing cottage pillow and it is a fun project to make. It is the perfect protect for fussy cutting all those little windows! 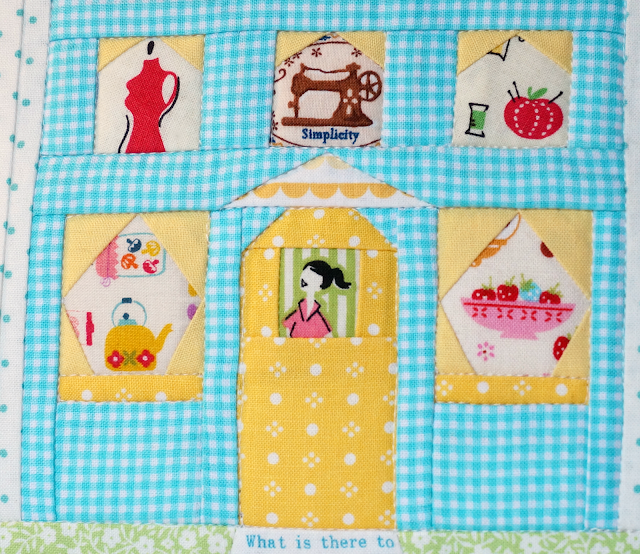 This is a fun block that can be personalized for whatever little house you want to make. Because the blocks in this book are small, I like to use small scale prints. Small scale prints don't get lost is all those little pieces. The Polka Dot used for the background is Moda Essential Dots. Gingham prints are also a favorite of mine. Tiny ones work best, I think. 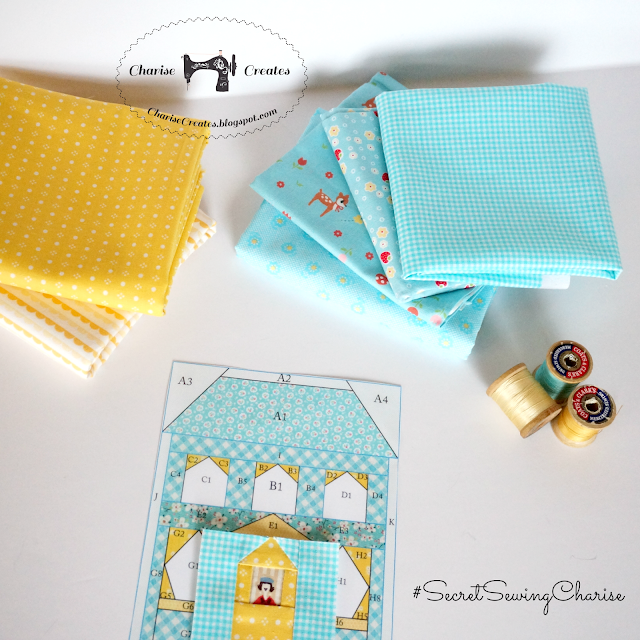 Riley Blake has a line called Small Cotton Gingham which comes in a lovely array of colors. 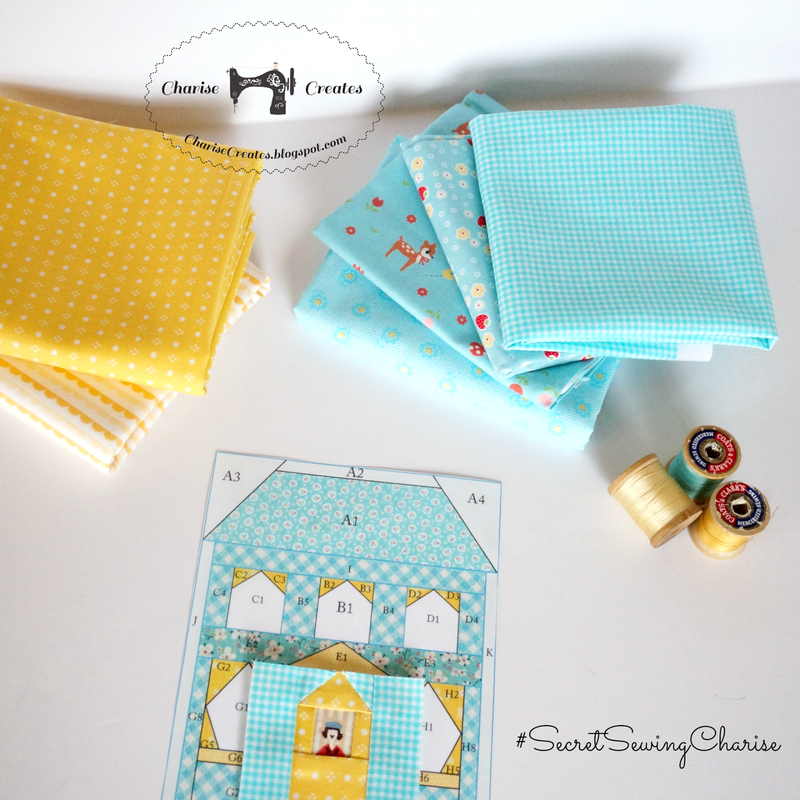 I am looking forward to having time to make an entire quilt with these cute little houses! Beautiful and very cute. Looks like a school project that underwent layers of cute-ment and produced something so adorable. Every tried knitting winter socks? So so sweet. Can't wait for your book. I love FPP. There aren't enough books out with cute projects. Hope you sell lots. After I get my copy of course. LOL.